I combined Saturday and Sunday’s events into this one post. Staying up until the wee hours of the morning was a mistake because EJ and I had to get up at 6:30 a.m. to take the car to the service center at the dealership for repairs. Morning came too early and it was difficult to get moving. The service guy at the dealership said that it might take an hour before they could begin running diagnostics on our car. We hadn’t had time to eat before we left this morning, and we were starving, so since the service guy had EJ’s cellphone number, we decided to search for provisions. There were stores around the dealership, but none very close. We walked for a bit in the cold 20 degree morning and came first to a Sam’s Club. We don’t have a membership, but we thought maybe we could buy one so we could shop for food…or maybe they had a deli in the store? We were stopped just inside the door and told that the store was open, but only to people buying for businesses. Bummer. At least we got to warm up a little while the “bouncer” talked to us. So we moved on and eventually came to a Target store. They had a deli, but it wasn’t open quite yet. Rats. 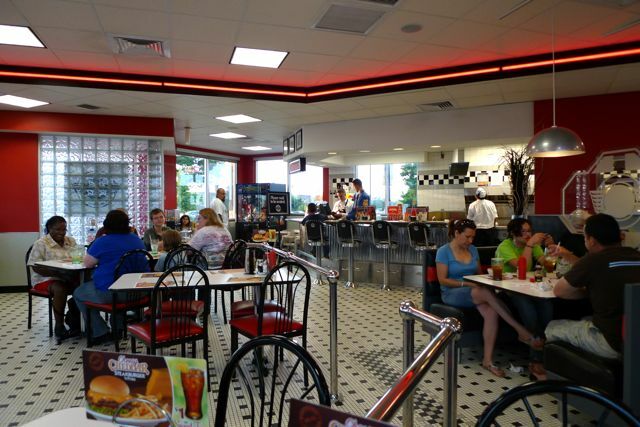 So we continued on our way and finally came to a restaurant called Steak ‘n Shake. It was open and served breakfast. Yay! We ordered hot coffee and a breakfast of blueberry pancakes and eggs. When the service guy came to talk to us, we learned that the car repairs will be more extensive than we thought. Many of the problems were major safety issues. Rather than court death, we approved the work that will cost us almost $1,500. Yikes. We did not need this on top of the washer/dryer and medical bills that are starting to come in. Also, JJ loves his Tablet and takes it everywhere with him, but he is also longing for his laptop to get fixed because his favorite on-line game is complex and needs a very good graphics card to run. The Tablet can’t handle the game and neither can EJ or my laptops. Mostly he has a community of friends at the game that he misses. We told him we will get his laptop fixed if at all possible, but it might not be possible. However, I told him that God knows our needs, including his longing to have his computer fixed so he can connect with his friends, so we must trust Him. Thankfully, the dealership is loaning us a courtesy car while our car is in the shop so we weren’t stuck at the dealership for 2-3 days. They loaned us a Malibu with only 2,000 miles on it. When we got home, EJ put the homemade chili I had made yesterday on the woodstove to heat and we took naps. Later my friend texted me that she and her husband had bought us another gift certificate at Chubby’s for the days when we are too tired to cook. EJ and I walked to the restaurant to pick up the gift certificate and chatted with the owner for quite a while. People are awesome. Despite everything, this was an awesome day. We are running out of time to get things done. Tomorrow morning chemo begins. 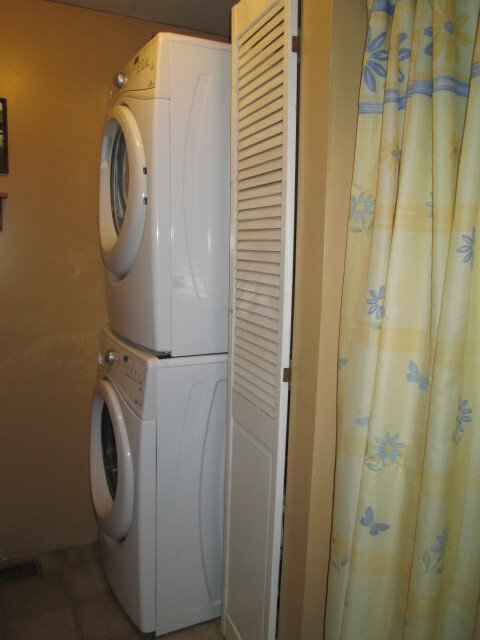 Our new washer and dryer. EJ stayed up until 4 a.m. hooking up the new washer and dryer. It is quite computerized. Before we washed clothes, we had to run the washer empty. We tried it this afternoon but we got an error code. EJ read through the manual and figured out what was wrong. Yay! I have been washing clothes at home for the first time in more than a year. When the washer or dryer is finished, it has a pleasant song instead of the scary heart-stopping alarm our old washer/dryer had. First thing this morning I went grocery shopping. I filled the cart with last-minute things we need and also tempting food for JJ to eat during chemo. There can be no bulk foods, no raw foods, no canned food. Chemo causes a metallic taste in the mouth and canned foods can make the metallic taste worse. Even silverware can increase the metallic taste so JJ might have to use plastic silverware. Everything must be prewrapped. I got disinfectant wipes and told JJ that I will be sorely disappointment if he doesn’t say “Wipe! Wipe!” at least once like Monk did on the TV show. When I got home and had put away the groceries, I got to work cleaning the house. I dusted and swept and washed and mopped and disinfected. I’m still not done, but I am mostly done. We were told that JJ will be sitting in a recliner during chemo, and that there is a TV in the room, and that JJ can bring snacks and items from home. I have been adding to our “chemo bag,” filling it with things to occupy us all for the seven hours we will be at the hospital tomorrow. I packed books, and DVDs, and snacks. I packed JJ’s Prayer Blanket that the local church gave him, and also his Bear Hat. Once I know more of what to expect, I hope I can bring my laptop with me. I don’t want to bring it if I can’t use it. EJ is hoping we have comfy chairs to sit in so he can finally sleep. I do not know if chemo will make life more hectic and exhausting for us or less. These are a few of my favorite things…. comfy chairs, washers and dryers that work and warm hats! Our prayers are with you today and always.